Can the music that you composed for Cowboys and Indians be enjoyed outside of the setting of the film? Does the context in which one listens to your music change based on how they experience the compositions? I always intend for the scores I write to stand on their own outside of the film. It is usually a challenge since most film scores need to be very subtle and can never overpower the events on screen. As a composer I have to adapt to such things as dialogue and sound effects, and I need to choose which moments to accent and which ones to step away from. Often a scene can be more powerful on its own without the support of music. I believe that melody is the key to reach the core of a film. I wouldn’t be able to create music for a whole feature film without coming up with a melody that I feel represents the film. Unlike traditional film composers I tend to stay away from using motifs to represent different characters, and instead I try to write a melody that I feel incorporates the whole film and can be adapted to match the different dramatic events in the story. Since I use this approach I can create music that feels fluent and natural to listen to even outside of the film. 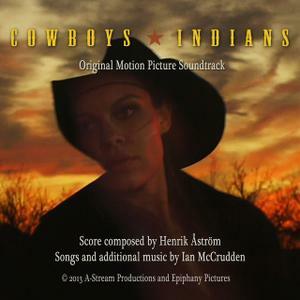 In the case of Cowboys and Indians I wanted the tracks on the soundtrack album to tell the film’s story, so I have arranged them to represent key points of the film. I’ve removed some tracks that I felt were only creating momentary tension or setting the mood for a scene. The experience of listening to this album will be very different from hearing the music when you are watching the film. In the film the music supports and compliments the action on screen without taking focus from it and the nuances in the music mostly go unnoticed to the viewer. When you listen to the score itself I hope new associations and discoveries can be made. The music can hopefully have a wider, and more personal, meaning. What sort of artists have influenced you as a musician? I used to work as a recording engineer and music producer for bands and artists in Sweden. I think working with so many artists have influenced my approach to writing a great deal. I worked with a wide range of genres ranging from pop/rock to classical music. I also played on many records in the country genre, and this gave me a melodic language as a guitar player that was very useful for Cowboys and Indians. Apart from my studio work I have always had a great interest in classic film scoring as well and I have a large collection of albums from famous composers such as Jerry Goldsmith and Ennio Morricone. They have been a great influence to me. How does a track move from initial thought to finished effort? When scoring to picture I would call my process very improvisational. I like to capture the moments of exploration when I’m not thinking too much. I begin with watching the film several times (without any music) and I also read the script and discuss it with the director to get the best possible understanding of the story. After this I think of the instruments that I feel would be appropriate for the film. I try to set everything up in my studio so that I have microphones ready to record and guitars and pianos tuned. After this preparation I put the film on my screen and I immediately play and record the first thing that comes to mind as I am watching a scene. I try to not worry about making mistakes so that I can be as free as possible in my performance. I can always replay things later or edit out mistakes in my computer. I rarely work with click tracks or fixed tempos and try to adapt the music organically to the flow of the film. Cowboys and Indians was all about the performances for me. I had to feel what the characters were feeling. They all had their strengths and their flaws and I tried to illustrate this by using different types of guitars and playing styles. I even tried to keep elements of my playing that was a little bit rough or imperfect since I felt it matched the characters of the film. I usually try to build a music cue with several different instruments and melodic lines that compliment each other, rather than just support each other. They become puzzle pieces that offer clues to what is happening in the movie. When I feel that I have all the pieces in place I try to sit back and watch a scene as if I was a first-time viewer at a movie theatre. If I feel that the music is not working or distracting me from the plot, I try not to be married to it. I actually prefer to throw a piece of music out completely rather than try to fix it or adapt it to match with the scene. It enables me to work faster. The decision that a track is finished will most often be based on a gut feeling, rather than the track being musically correct or well arranged according to music theory. Artists typically have a creative space in which the juices can flow? What areas inspire you? I think the movie itself is the creative space—the different locations of the film, the atmosphere, and the tension between the characters. Cowboys and Indians is a film set in the snowy and desolate areas of Colorado and the vast and beautiful landscape was an inspiring place for me. When I emerge into this world, the physical space where I am writing becomes less important. I prefer it to be a relaxed place with few distractions, so a comfortable chair to sit in and good soundproofing is important for me. What sort of instruments do you utilize and what instruments would you still like to procure? I have a wide range of guitars in my studio and also drums and percussion. I try to do live recording as much as possible but I also have a large collection of sampled instruments in my computer such as orchestral strings and synthesizers. I try to be open to utilizing all these types of instruments and combining them in ways that create a unique sound for the film. I would really like to own an acoustic grand piano, since I think it is an instrument that is almost impossible to recreate with computer samples, but I unfortunately don’t have the space for it in my studio at the moment. How did you get into composing soundtracks, and how is the creative process different from composing for one’s own album to crafting music based on another artistic vision? When I was around five years old I remember listening to my mom’s radio and noticing the theme songs that played before and after each radio program. I would often stage cinematic scenes with my toys as the music was playing in the background. For instance, I would drive a toy car over the edge of a table and see it plunging to the floor as a trumpet was playing a high note on the radio at the same time. I was doing film scoring already, in my own way. I later discovered the piano and spent a large part of my childhood and adolescence sitting by it and composing my own music and learning to play mostly by myself. 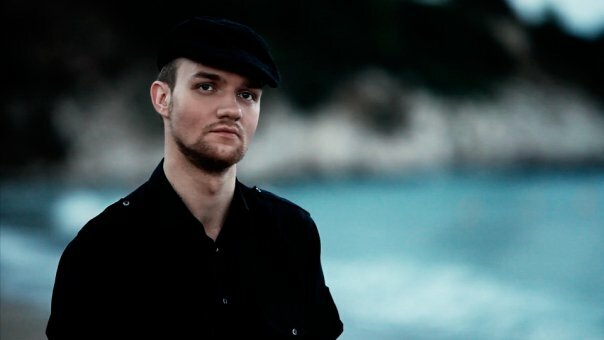 I got the opportunity to write music for theatre and dance performances in Sweden in my mid twenties and after that I decided to try a career as a full time composer. A few years later I moved to the US to pursue it. The creative process of film scoring can actually be very liberating if you come from a songwriting background like I do. A song is usually made from a fixed structure and it needs to be direct and have a universal meaning to reach a listener within its length of 3 minutes. None of this applies to film scoring. As a film composer, I have the opportunity to build and develop ideas over a much longer time and I can be more subtle in the delivery of my message. I can also choose from a wider range of instruments. Certain film genres, such as suspense thrillers, can on the other hand be limited creatively for me since the music needs to support the tension at all times. If I give myself too much creative freedom I may need to change it to what is best for the story, or adapt it to the director’s or producer’s preference. How can individuals get into contact with you, and where can listeners find samples of your music? What has provided more of your fans – Facebook / Instagram / Twitter or traditional word of mouth? Apart from the people who have seen the films on TV and become interested in my music that way, I have attracted the most listeners through social media. I try to be active on Facebook and Twitter since they offer me a way to connect with my listeners. Film music is a very small genre if you compare it to pop music and finding new listeners is hard. Very few people notice the composer’s name in the credits when they watch a movie, but if I write something about the movie on Facebook and attach a piece of music to it I can reach many more listeners than just the viewers of the film. What does the rest of 2014 hold for you, and how can readers connect with you and your music? I will soon commence work on the feature film “The Girl In The Lake” that is based on the novel June Bug by Chris Fabry. It is directed by Ian McCrudden who wrote and directed Cowboys and Indians. I am also working on a TV show called “Make Your Mark” that will air on PBS later this year. Do you have any thoughts for our readers at NeuFutur? I think NeuFutur is an important alternative to mainstream music magazines. I am glad that it provides a place for independent artists like myself to have their music exposed to a base of readers that are interested in something different. Any readers of Neufutur are welcome to contact me directly if they are interested in or have a question about my music.